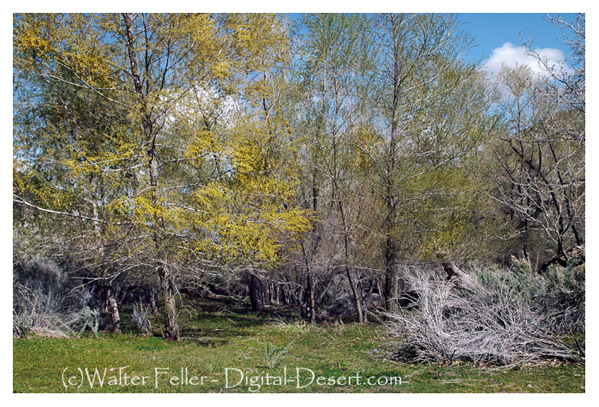 Horse Thief Spring was named by surveyors for the legendary Chief Walkara (a.k.a. Wakara or Walker) of a band of Ute. Walkara was a skilled hunter and horseman from an early age. Able to speak numerous languages, he proved to be a very skilled negotiator. In the 1820s, Walkara began accumulating wealth from trading horses and other commodities. He gathered a band of warriors from the Great Basin tribes to raid ranches and stop travelers along the Old Spanish Trail. He became a legendary horse thief, known to many by his yellow face paint. In the 1840s, he and his band captured hundreds of horses and mules in the Cajon Pass area of southern California. He is said to have traded horses to mountain men such as James Beckwourth and Thomas “Pegleg” Smith for whisky and other goods. Walkara also developed a prosperous trading relationship with Brigham Young in Utah and negotiated peace between settlers and the Native Americans after tensions erupted in 1853. 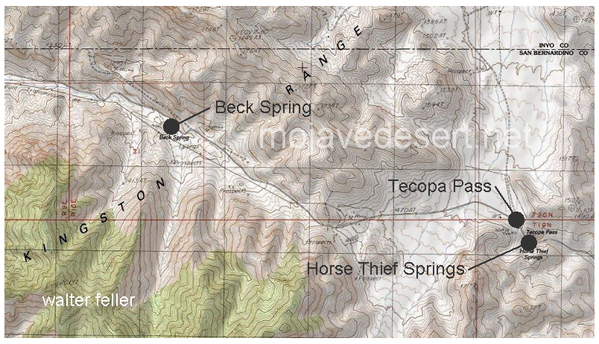 Horse Thief Camp is located 27 miles north of I-15 on Excelsior Mine Road (use the Cima Road Exit), is nestled between the Kingston Range, North Mesquite Mountain and Pahrump Valley Wilderness Areas. This secluded primitive camp offers dramatic view of the surrounding landscape and is an ideal base camp for exploring the local area. Familiarize yourself with rules that apply to the specific wilderness area that you intend to visit. Motorized equipment and mechanical transport, such as chainsaws, motor vehicles, and bicycles, are prohibited in all wilderness areas. Many miles of backcountry touring opportunities exist adjacent to these unique wilderness areas. Visit the Kingston Wash segment of the East Mojave Heritage Trail. Wind your way past the Kingston Range Wilderness, Coyote Holes, and Kingston Spring. Off-Highway Vehicle travel is limited to designated trail systems. Law enforcement officers will strictly enforce the regulation pertaining to illegal cross-country travel. 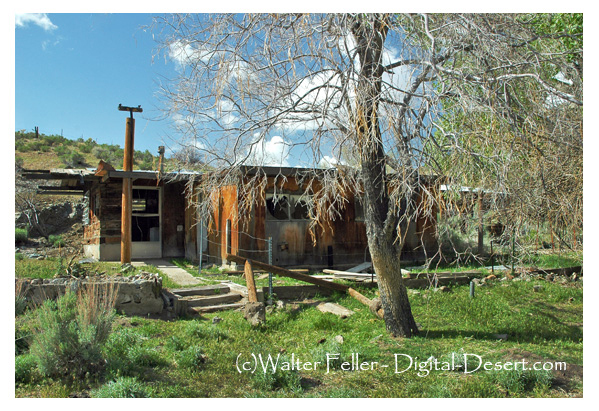 Horse Thief Camp, located 4 miles south of the spring, is an ideal location for wilderness hiking, hunting, camping, nature study, rock hounding, horseback riding, and vehicle touring. Test your skills at the horse-shoe pit, Shoes not provided. Tell a friend or neighbor where you are going and when to expect your return. Bring sufficient water, food, clothing, tools, and first aid supplies for your activity. Bring your camera and binoculars! The Area has a diverse landscape of hills, canyons and washes. Multicolored rock walls and changing light conditions make for many photographic opportunities. 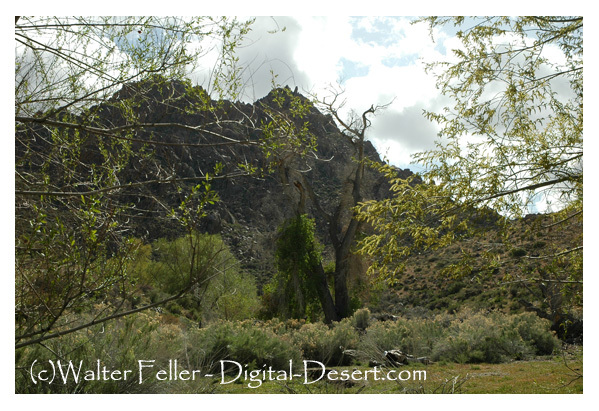 Washes and stream channels are good hiking trails and excellent for experiencing natural conditions. You can hunt dove, quail, chucker and and mule deer in the area, but season and bag limits vary. Contact the California Department of Fish and game at (909) 484-0167 for current hunting information. Hunting within 200 yards of wildlife waters, guzzlers included, is limited to 30 minutes. Recreational shooting is not permitted within the boundaries of Horse Thief Camp or within 1/4 a mile of the campground.